I love true crime non-fiction by investigative reporters. And, in my opinion, there’s no one better at that genre than Mara Leveritt. I first heard her speak at a writer’s conference several years ago on the subject of vetting her 1998 book, Boys on the Tracks. (To vet: to examine carefully. In this case to make sure there was nothing in the book that could be considered slanderous.) After the conference, I went home and raved about her so that my daughters drove to Books-a-Million (I told you it was several years ago) and bought the book for me straight away. I can’t remember now why I didn’t buy it at the conference as is my normal practice. I recalled the case of the teenagers from Saline County who were killed when hit by a train in a bizarre incident. I lived in Tennessee at the time and was able to read follow-ups only sporadically. Reminded of the story, I couldn’t wait to catch up on the happenings. Mara Leveritt is a seasoned investigative reporter, columnist and contributing editor for the Arkansas Times. She has won many awards for her work. She writes her books like a reporter should report: just the facts. Every statement made is footnoted and documented from court records or interviews with those involved. 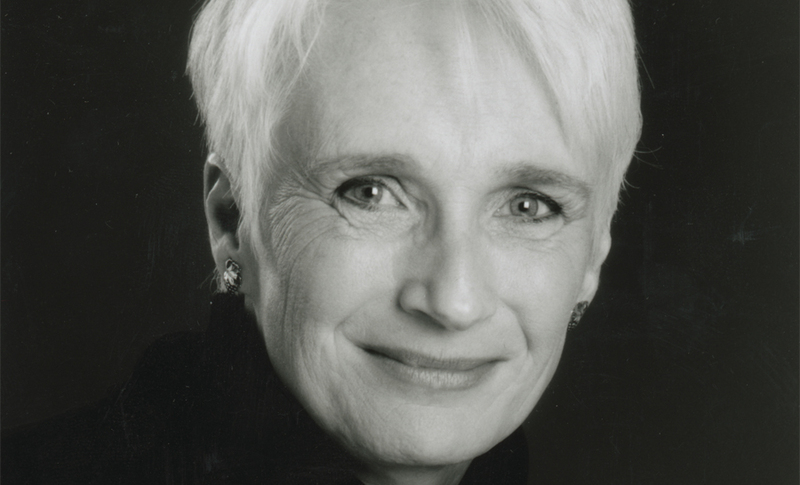 Her absolute thoroughness and years of research are likely the reasons she has written only two books in this genre. Her second book of this nature was The Devil’s Knot (2002, Atria), about the investigation, arrest and trial of the three young men known as the West Memphis Three. Both books were awarded the prestigious Arkansas Booker Worthen Prize. Soon after publishing The Devil’s Knot, Mara Leveritt established a newsletter titled DK2, continuing to follow the story of the West Memphis Three, which was obviously not over just because the three were incarcerated. Contributions went to pay legal fees for the trio. Leveritt’s latest book, Justice Knot, examines events that culminated last year when the West Memphis Three were suddenly released from prison. I plan to own and read this book. Mara Leveritt is an excellent journalist, writing not to convince so much as to allow all the facts to be heard so a fair opinion can be formed. I became a fan of William E. Barrett 40 or more years ago when I belonged to the Doubleday One-Dollar Book Club. Each month I chose from selections for $1.00 or perhaps a bit more depending on the fame of the author or expected popularity of the book. Other novels I acquired at this time were The Wine and the Music, dealing with the issue of celibacy in the priesthood, and A Woman in the House, about a young monk moving from the solitary life he has known and working through relationships he had never had before. 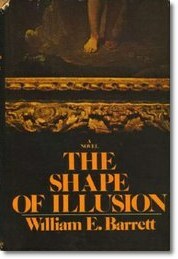 In 1962 a short story Barrett had written earlier was published by Doubleday. Lilies of the Field was an immediate success and became a motion picture before he had even agreed to sell the rights! The movie won a Best Actor Oscar for Sydney Poitier. 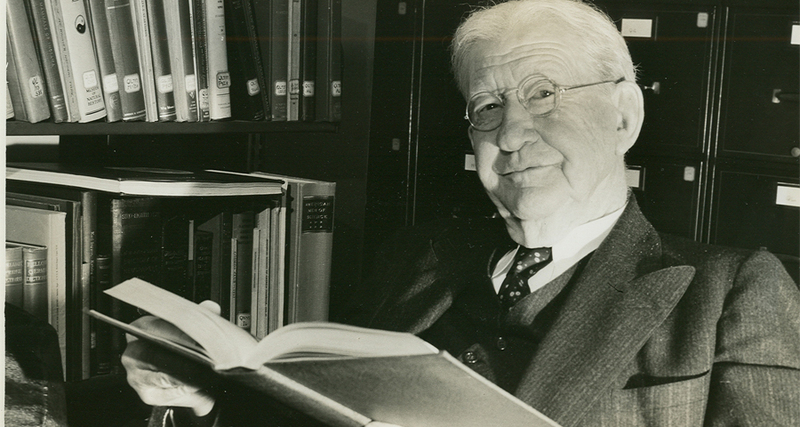 William E. Barrett was a devout Catholic and many of his stories are based in that doctrine. All those I have mentioned here are along this line. I find they have a depth not usually found in the Christian fiction genre of today. Though my favorite books come from his later works, William Barrett had a long career in writing, beginning with ghost writing term papers in college and moving to pulp fiction in his early years, speeches for political candidates, action thrillers, and biographies. He died in 1986 at the age of 86. Many of his books are still available at Amazon.com, public libraries (or their sales) and used book stores. In 2010, I took a facebook challenge from my granddaughter, Elizabeth (who is way ahead of me on these things), to list 15 authors whose work I enjoy. The challenge may have said something like “Authors I have read and will read again.” As I look now at that list I posted then, off the top of my head, I can see the influence of what I was reading at the time. Also, there are some writers I missed, or new favorites I would add and a few I would replace, if I am limited to 15. So, today, I’m revising the old list and over the next couple of weeks, I will tell you why I enjoy these particular writers. The first list was in no particular order, this one is alphabetical. Robert Frost: I fell in love with Robert Frost’s poetry when I heard my daughters’ high school chorus perform a musical setting of “Stopping by the Woods.” It was not only beautiful notes, it enhanced the rhythm of his words. I have read his poetry with enjoyment ever since. But I decided to make this a list of prose writers. Neil Simon: He’s one of my very favorite playwrights, but I have several and I decided not to go there. Gary Paulsen: I have read some excellent Young Adult fiction by Gary Paulsen, Richard Peck, Ann Martin and others. I decided that’s a whole other category. Harper Lee: To Kill a Mockingbird is probably my favorite book and movie. But if the list limits me to “authors I have read and will read again”, alas, I don’t think Harper Lee will qualify. I blogged about Mockingbird, the book, movie, and writer about a year ago. Find it on the right, under Reading List or Writing. So, that’s my list. Not off the top of my head but with a lot of thought. And I’ll tell you why. Next week. John Boyne, who wrote this book in 2006, was right. It is probably impossible — or at least difficult — for this to happen now, since some of the reviews I have seen contain a spoiler. But just in case, I’ll not joint them in that. I think this book would have held me even more spellbound if I had not known the gist of the story before I read it. The story is seen through the eyes of a naive 9-year-old boy. (Though this isn’t a book for 9-year-0lds.) The point of view is excellent and the voice is great. Though the narrative is in third person, Boyne stays exclusively with Bruno’s (the boy’s) point of view. The reader sees and knows only what Bruno sees. Sometimes, because we’re older and have a certain knowledge of history and human behavior, the reader understands what’s happening before Bruno does. And then we want to say “Awww,” with a sigh because, bless his heart, he is just so innocent. There is a movie, made in 2008, with lesser-known (to me, at least) actors. The Americanized spelling of “Pajamas” is used. I haven’t seen it, but probably will. 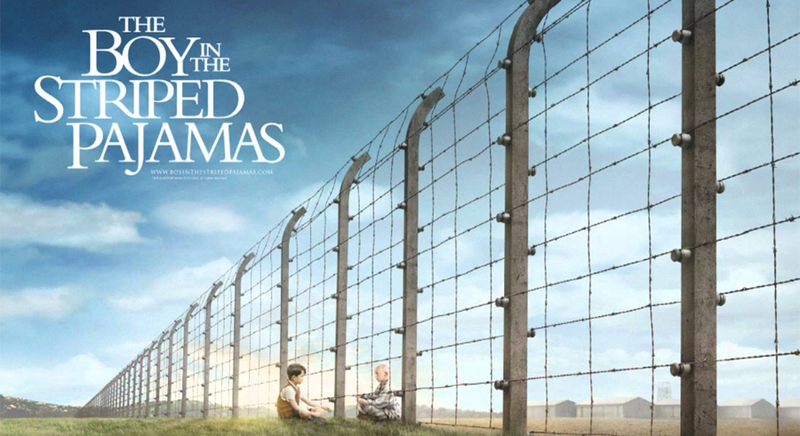 The Boy in the Striped Pyjamas is a unique tale. I have never seen anything like it described in the “Seven (or Twenty or Fifty) Most Used Plots.” I highly recommend this book for the discriminating reader and writer. John Boyne is a successful writer living in Dublin, Ireland. You can learn more about him and his work at www.johnboyne.com. 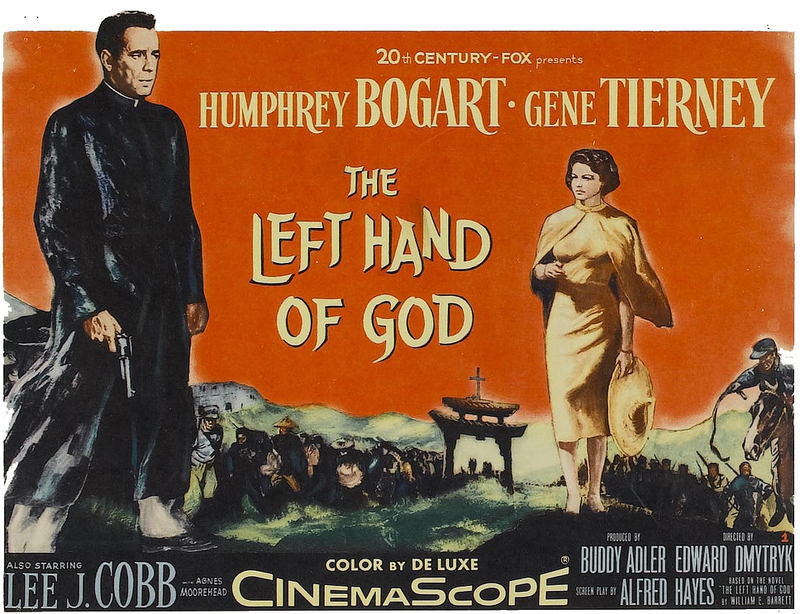 One night, during the Christmas break, I was pleased to see the listing of a favorite old movie, The Left Hand of God from 1955. This story features Humphrey Bogart and Gene Tierney, though this is not one of the most mentioned films during discussions of these actors’ resumes. A man in priestly robes (Bogart) appears at a small Catholic mission in China. He is presumed to be the long awaited Father O’Shea. Although his demeanor and behavior are different from what one would expect of a priest, his rough tactics prove successful with the local bullies. (It’s 1947 and China is dissolving into civil war and revolution.) To further complicate matters, the mission nurse Anne (Gene Tierney) seems attracted to him and he to her. When he can struggle with this no more, the man confesses his name is Jim Carmody, recently escaped from the camp of a Chinese warlord (played by Lee J. Cobb). Carmody’s confrontation with (and victory over) the warlord leave the villagers believing he is a saint and this was a miracle. The Bishop, though not happy at the deception, is more concerned with the disillusionment of the Chinese converts if Carmody is found out. So, ‘Father Shea’ leaves quietly after telling Anne of his true feelings for her … leaving us to wonder if they will ever see each other again. 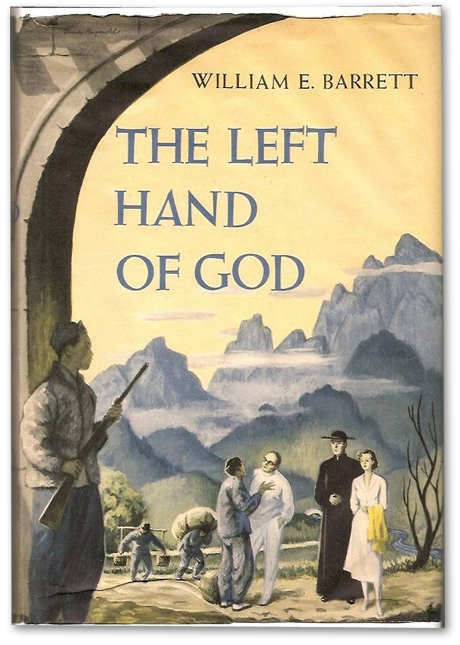 The novel, The Left Hand of God, was written by William E. Barrett. He wrote several books that dealt with men who were forced to look at their attitudes about faith and God. Humphrey Bogart was a good choice to play Jim Carmody, since Bogart usually portrayed a hard boiled cynic who in the end shows his noble side. Reviewers call The Left Hand of God an adventure story with a religious theme; the story of one man’s faith journey. You may find the book in your local library or chance upon it in a used book sale. Watch for the movie on cable or, while I’m not sure it’s out on DVD yet, it might appear one day in the sale bins of the big box stores. I recommend both movie and book. I read 11 non-fiction books during the past 12 months. 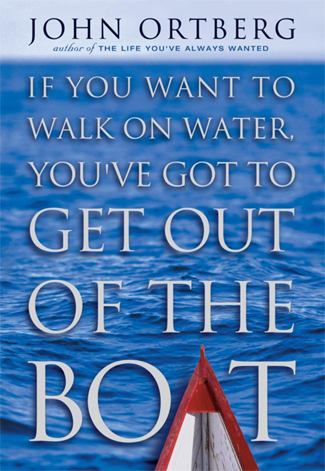 Four were inspirational genre: What Difference Do It Make by Ron Hall and Denver Moore, Is This Seat Taken by Kristin S. Kaufman, and If You Want to Walk on Water You Have to Get Out of the Boat by John Ortberg. When I’m reading a collection of poetry I like to go slowly, one or two poems a day, to feel the rhythm and think about the meaning. I finished two compilations in 2012: 100 Best Poems of All Time, edited by Leslie Pockell (I’m always interested to see what “they” consider “the best”) and The Poets Roundtable of Arkansas 71st Anthology, a gift from my friend Pat Laster. Pat, a past president of PRA, contributed several poems to this book. 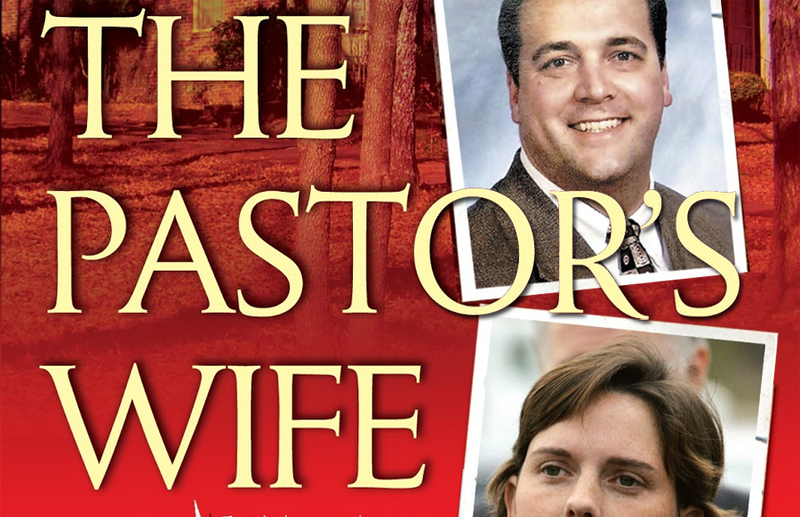 I love investigative non-fiction and in 2012 I devoured Mara Leveritt’s The Devil’s Knot (don’t know why I waited so long to dig into this story about the Memphis Three) and The Pastor’s Wife by Diane Fanning. Ms. Fanning did well with the story of the preacher’s wife in Tennessee who shot her husband, but for investigative reporting no one holds a candle to Mara Leveritt– in my opinion. An interesting book for folks living in White County is Images of America — Searcy Arkansas by Patsy Pipkin and Carolyn Boyles, two friends from White County Creative Writers. People who grew up in Searcy will especially love this pictorial history of that town. Marley and Me by John Grogan is a delightful story about a man, his family and his great big Labrador Retriever. It was made into a sweet movie with Owen Wilson and Jennifer Anniston (and a big dog). 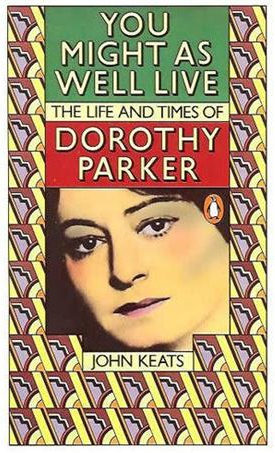 You Might as Well Live by John Keats is the story of the life and times of Dorothy Parker. It pains me that many under-fifty types might say, “Who?” She was a popular, successful writer during the Twenties-Thirties-Forties when poets and storytellers could support themselves writing for the popular magazines of the day. 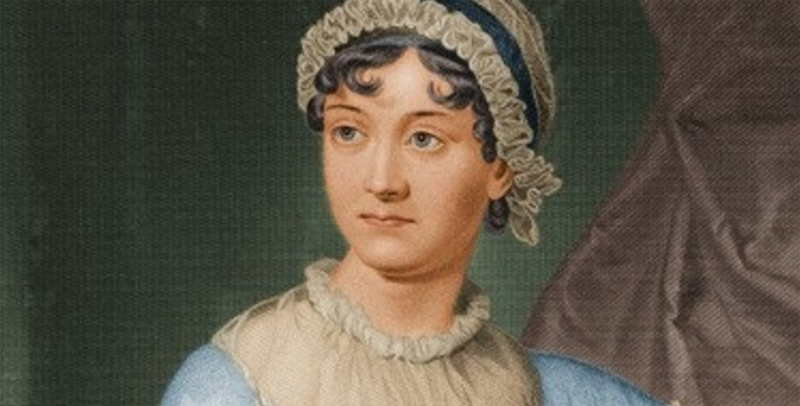 She never wrote a novel, but did compile her short stories and poems into collections. These books would be a rare find today in a flea market or estate sale. D.P. was known as a wit and free thinker who always said exactly what was on her mind, unusual for a woman of that time. Of the 20 books I read in 2012, 8 were gifts and another 3 were recommended by friends who know I like to read. Indeed I do and I am glad to share my reading with you. My goal for 2013 is to read four classics and six writers I have never read before. Who knows what else will capture my fancy and be added to the list? Another goal is to publish my fourth book, a novel-based-on-a-true-story (creative non-fiction?) as yet untitled but really, really close to being finished. More about that later. After a short break — Happy New Year and Happy 12th Day of Christmas. Today is Epiphany Sunday. Three novels were young adult genre, The Killer’s Tears by Anne-Laura Bondoux, A Boy at War by Harry Mazer and Out of the Dust by Karen Hesse (a Newberry Award Winner). If you want a quick, clean read that is often also an excellent story, I suggest young adult novels. The Guernsey Literary and Potato Peel Pie Society by Mary Ann Shaffer and Annie Barrows and Another View by Rosamunde Pilcher were both delightful stories set in England, where I have always wanted to visit. Sold by Patricia McCormick is the story of a young girl from a small village in Nepal who is sold into prostitution because her family is starving. I chose it from the United Methodist Women’s reading list and it is a very heart-wrenching story. One of my favorite writers is Jodi Picoult and this year I read her Sing You Home. She has written many books I have not read, because I usually allow myself only one of her novels a year. I love her voice and I fear if I absorb myself in it I could lose my own. The last novel I snuck under the wire before the year ended was Call of the Cadron by Arkansas writer Freeda Baker Nichols of Clinton. This book was published earlier this year by my friend and fellow critique group member who is also an award-winning poet. It’s the story of Jordan Maxey, a young woman who struggles to find herself and her path in life while she feels the pull of tradition, family loyalties and responsibilities, and her own wants and desires. For more information about Call of the Cadron and Freeda Baker Nichols click on the link under Places of Interest on the right of this page. That will take you to her blog. Next week I will review the non-fiction books I read in 2012. I need another bookcase. The four I own are overflowing. Books also fill the corner shelves made for knick-knacks and cover the end tables. More volumes line the stairs. Please don’t suggest I ‘get rid’ (cruel expression) of some of these books unless you yourself are willing to give one a good home. Then I’ll decide if it’s something I can part with. Okay. I know it would help if I would stop buying used books. But I have a good reason for each one I buy: I haven’t read this book and I like the author’s work; this book is a classic and/or old; I read this book before and liked it but I don’t think I own it. As you can see, these are all valid excuses for adding to my collection. Well, not only did she not prevent me from buying, she was an enabler! “Look, this is by Lynne Truss who wrote Eats Shoots and Leaves. You’ll want this.” Of course I did. That was in the I-like-the-author’s-work category so I bought Talk to the Hand. And before I left the store I chose three more. I found Mister God This is Anna by Fynn. In 1974 this was the Christian book to read, but I never did. It is a small paper back, rather yellow and brittle and I fully intend to read it one day. The last book I purchased that day is a 1954 Summer Edition of Readers Digest Condensed Books. I subscribed to this series when I was a young stay-at-home mom without much time to read. I particularly remember this one that contains The Desperate Hours by Joseph Hayes (later to be made into a movie with Humphrey Bogart) and Tomorrow by Philip Wylie, a tale of what could happen if the Russians launched an atomic attack on the United States. (This was 1954, remember.) I enjoyed these stories the first time around and plan to read them again.